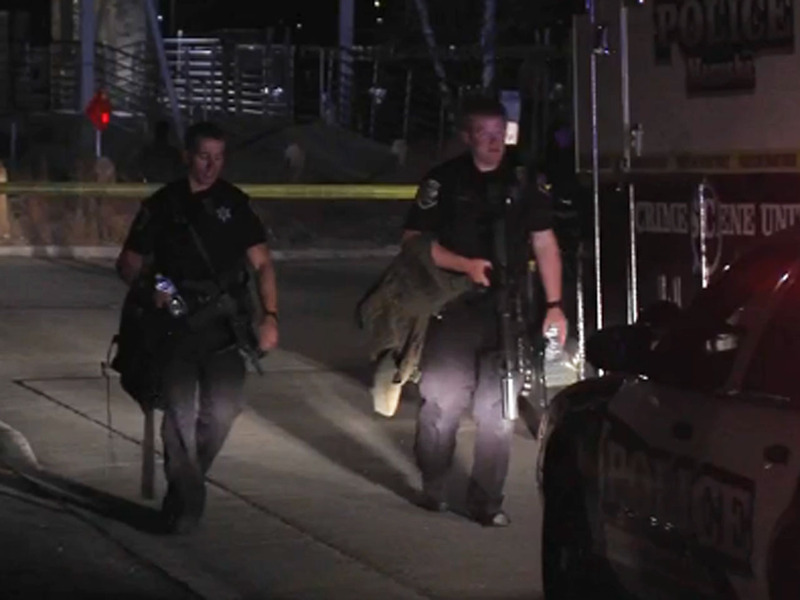 TOWN OF MENASHA, Wis. -- Four people are dead after five were shot Sunday evening on a bridge in Menasha, Wisconsin, outside Green Bay, reports CBS Green Bay affiliate WFRV-TV. The suspected gunman is among the dead, authorities told the station. Police say the shooting appears to have been "a random act," but the motive, and the condition of the fifth victim, weren't known. Police say it happened on the Trestle Trail Bridge in Fritse Park in Menasha around 7:30 Sunday evening. Investigators said they would be working through the night trying to piece together the events that led to the shooting. Shortly after reports of gunfire, Town of Menasha Police advised people to stay clear of park and the bridge on both sides. At first police weren't sure whether the shooter was at large. They launched several boats so they could observe activity on and in the area of the bridge. Police told WFRV late Sunday they don't think residents of the normally quiet neighborhood are in any danger. The station says the bridge is normally used by locals for fishing, running, biking and other recreational activities.